Boil the noodles as mentioned in How to Boil Noodles. Heat some oil in a pan, and add the eggs. Scramble the eggs, till they are properly cooked. Keep aside. Heat the oil and add onions. Stir fry for about 2 mins, till the onions become translucent. Stir in the vegetables, carrot, beans and capsicum and cook for another 2-3 mins. Let the vegetables be crisp. Add the salt & pepper. Add the Soya sauce and stir fry for another 2 mins. 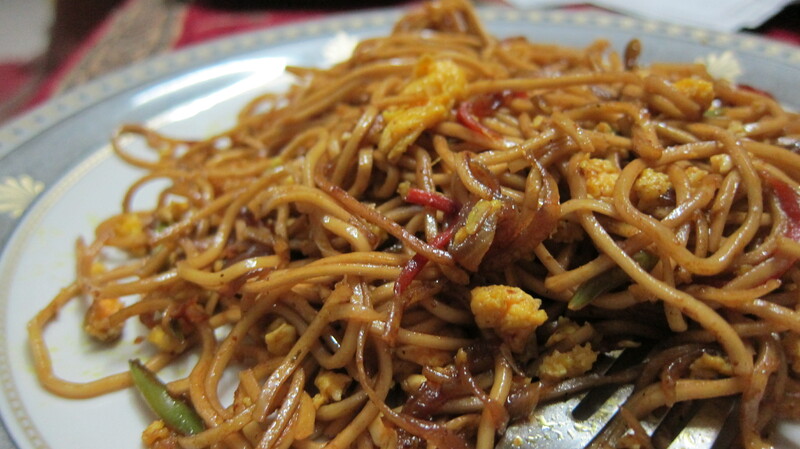 Add boiled noodles and chilly sauce. Mix the noodles properly. 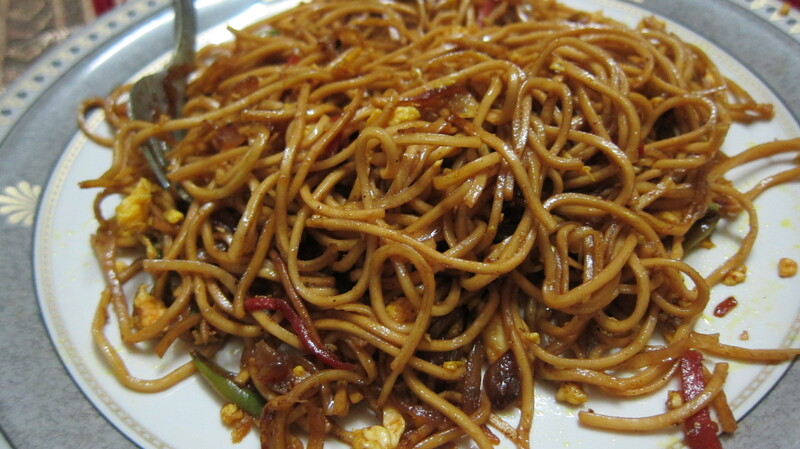 Finally toss in the scrambled eggs, mix and serve hot egg chowmein noodles.